Cute giftcard…would love to win! Our grandson would GROOVE on this gift card – like I GROOVE on your Totally Target sight! Wow is right Kerry, thanks. 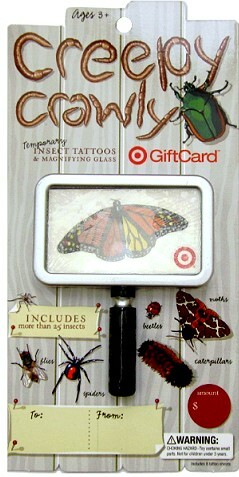 This would ne an awesome prize since I am ALWAYS at Target! Of course, I like TT on FB!! Wow, never seen this one before! Hope I win! I love target!!! Bugs are creepy but giftcards are great! I ‘like’ totally target on FB!! $50 to spend at Target is like HEAVEN and never creepy!